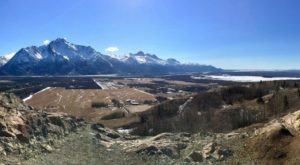 Anchorage has a long history of being Alaska’s largest city and a destination for all Alaskans when traveling. 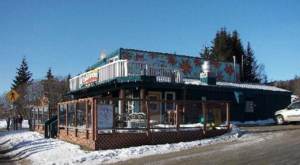 And one of the places that everyone knows is the iconic restaurant Gwennie’s. 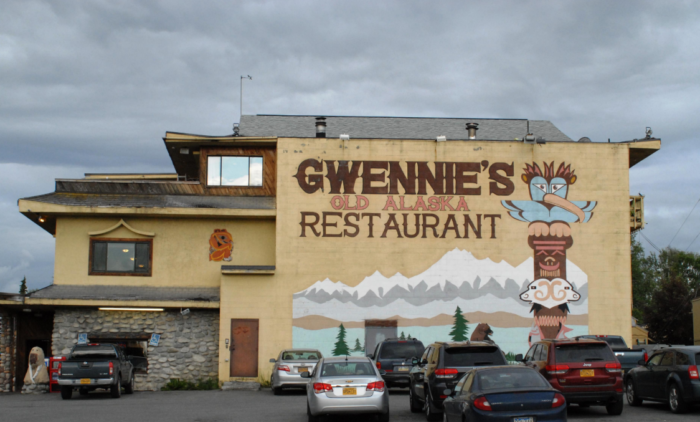 This place is dripping with history and charm, you’ll love Gwennie’s and a taste of old Alaska. 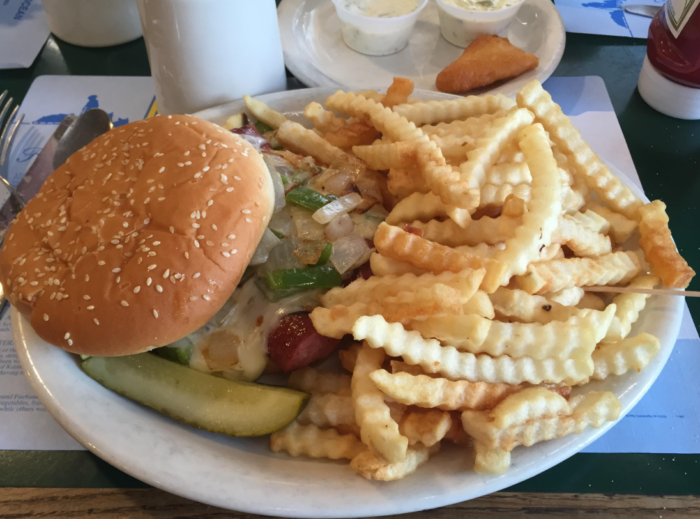 The food is delicious, classic diner fare, the people friendly as can be. 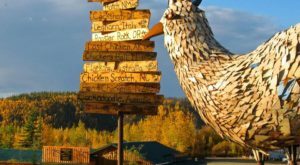 Visit this iconic restaurant whenever you are in Anchorage for a wonderful meal form a time-tested Alaskan kitchen. 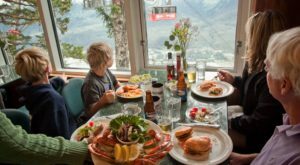 Gwennie's is an iconic restaurant in Anchorage and a popular choice for travelers and locals alike with a family-friendly atmosphere and classic Alaskan charm. 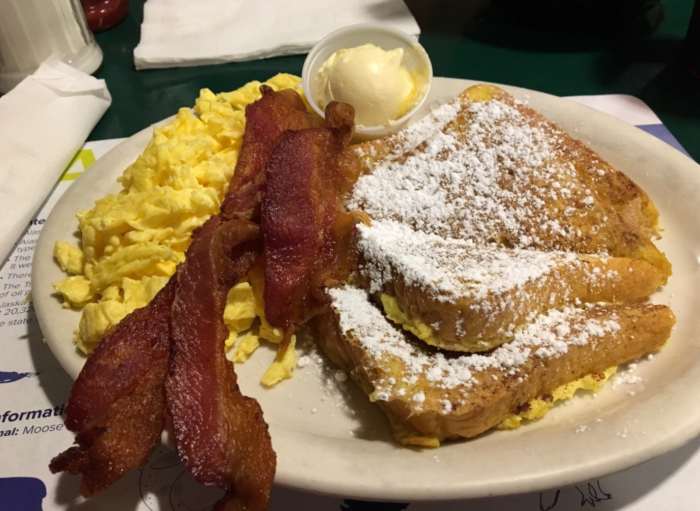 Breakfast is delicious and served all day for a perfect meal any time. 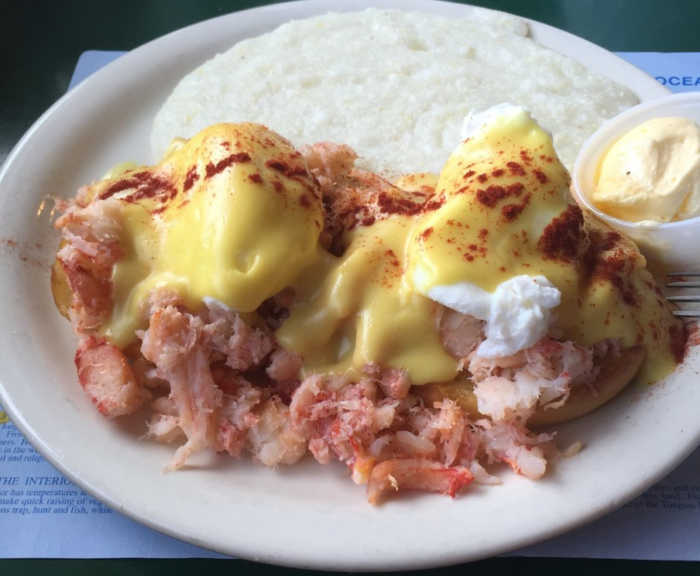 Crab Eggs Benedict is an Alaskan favorite. 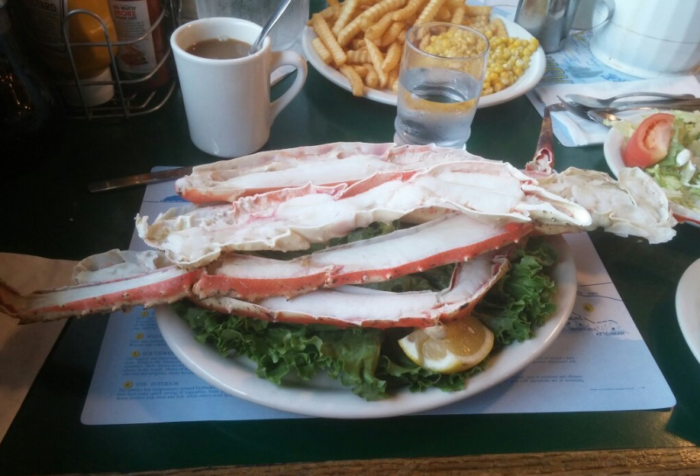 They have a variety of seafood Benedicts for a truly Alaskan breakfast. 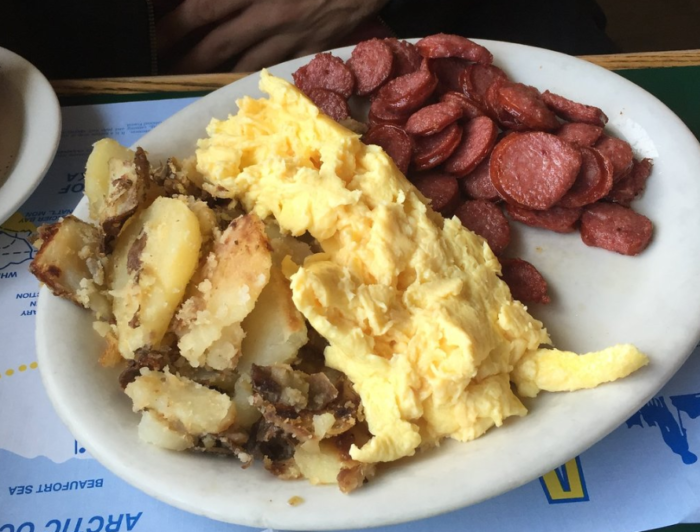 Reindeer sausage is another Alaskan breakfast favorite and a must-try for visitors. The full-bodied, rich flavor is delicious. 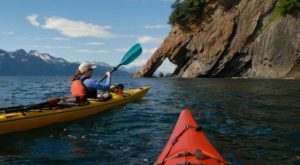 You'll never forget your taste of Alaska. You can even get your reindeer sausage Philly Cheesesteak style on a bun for a decadent lunch or dinner treat. Meat and potatoes are staples of this classic kitchen, and the steaks don't disappoint. 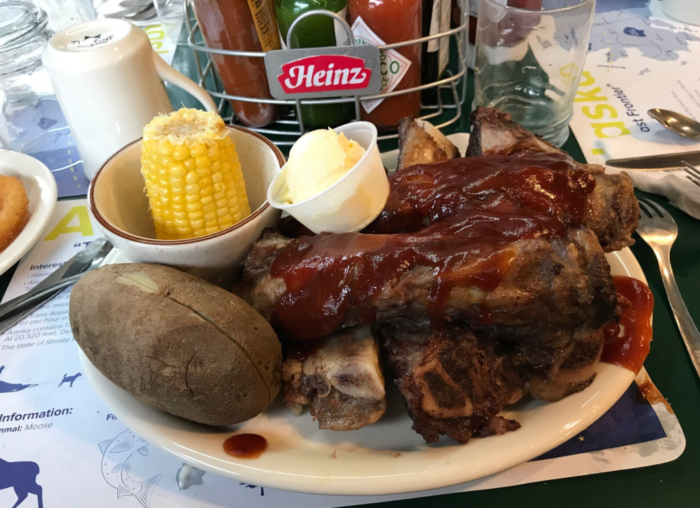 Ribs are slathered in house-made barbeque sauce and are a popular choice. 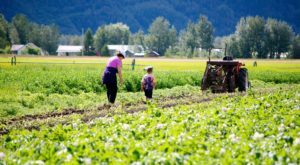 Alaska Crab Legs are on the menu and you'll love the delicate flavor and the freshness of the seafood available in Alaska's city on the sea. The decor is dark wood and stone with a comfortable and cozy vibe. 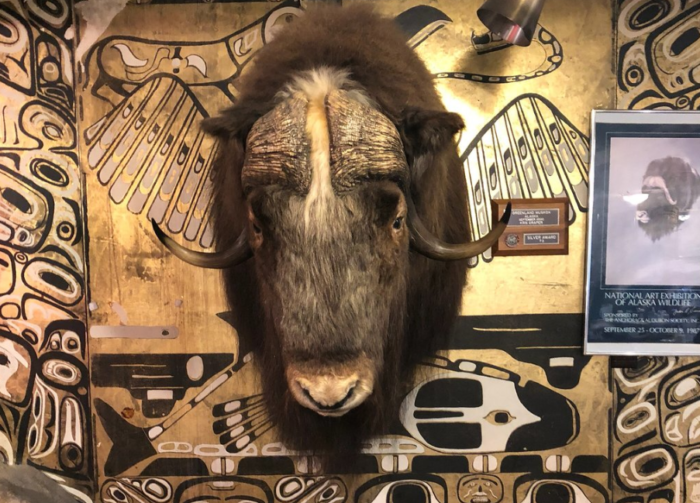 There are many animals decorating the room from a stuffed Alaskan brown bear to a beaver to this muskox. 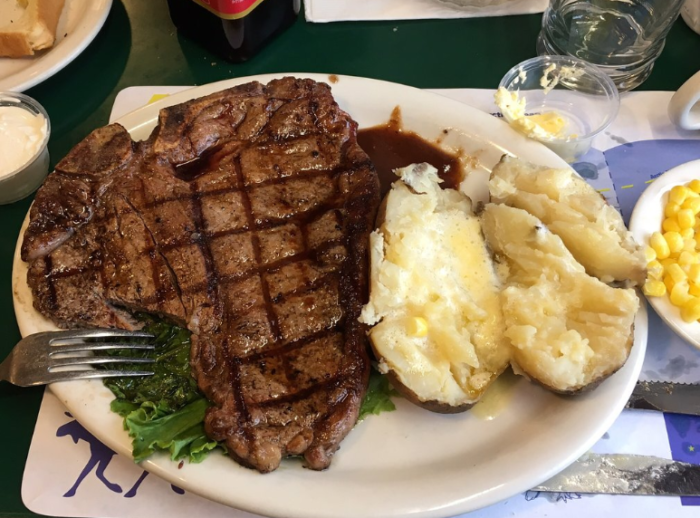 Have you been to Gwennie’s? Tell us about it in the comments below. 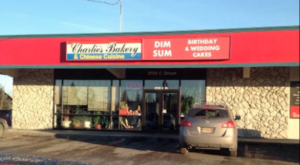 For another tasty dining option in Anchorage, This Alaska Restaurant Serves Food So Good You’ll Swear You’re Down South. 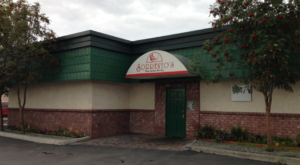 Also in town for an evening out, This Rustic Bistro In Alaska Serves The Most Mouthwatering Wood-Fired Pizza.